The new generation of SmartPOS is faster, smarter and customized for your needs. All SmartPOS systems come as bundled hardware and software “plug-and-play” solutions with end-to-end technology integration options. Retailers can rely on SmartPOS to reduce risk, increase sales, and to keep inventory under control. The SmartPOS is an easy-to-use point-of-sale system with extensive operational and administrative features, integration options, and workflows. The solutions include an interface and workflows designed to increase compliance, communication, accuracy, and promotional opportunities. The newest, most powerful, and most intuitive SmartPOS ever is here. The Intel Celeron J1900 processor makes using the SmartPOS 425 a breeze. 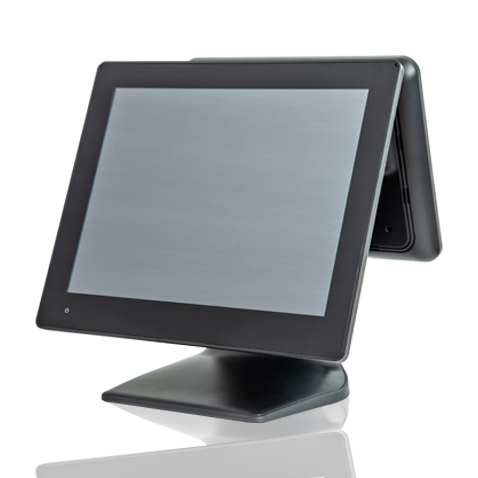 The compact POS terminal with contemporary and modern styling meets the 15” bezel-free true-flat and PCAP touch display with LED backlight to provide the user with an immersive experience. Compact body and sleek design with small footprint help operators save the checkout area space for customer engagement and promotions. Powered by Intel Celeron J1900 processor, the newest SmartPOS delivers powerful performance and reliable operation. Serve customers faster and better with a POS solution never seen before in the industry. Invest in your company’s future and provide better customer service, achieve customer loyalty and boost your company’s brand. 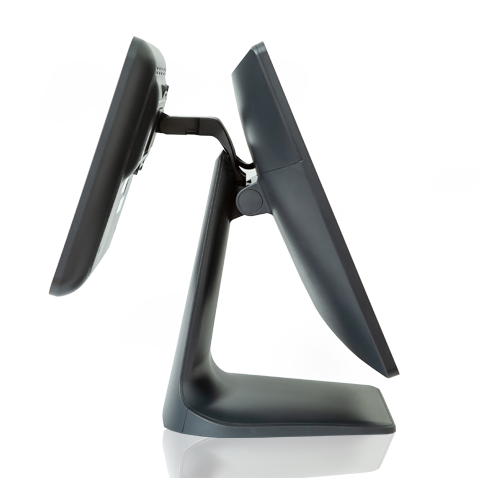 The touch display is designed for enhanced performance, durability and usability. Industrial-grade LED panel offers bright and crisp images, extended product life and energy efficiency. PCAP and 10-point multi-touch technology delivers intuitive and familiar experiences similar to smartphones or tablets. Speedy operation is assured with the touch display activated with both fingers and gloves. Multiple I/O interfaces are offered on the SmartPOS 425, including 6 USB, 5/6 serial and more. Optional expansion is available. 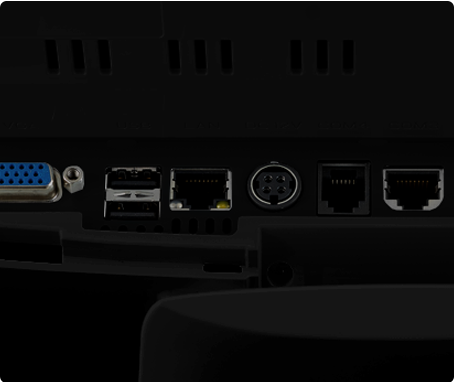 Connect it to all the peripheral devices that meet your business needs. Multiple integration options and the ease-of-use make SmartPOS 425 the perfect tool for the operators who want to save money and time. 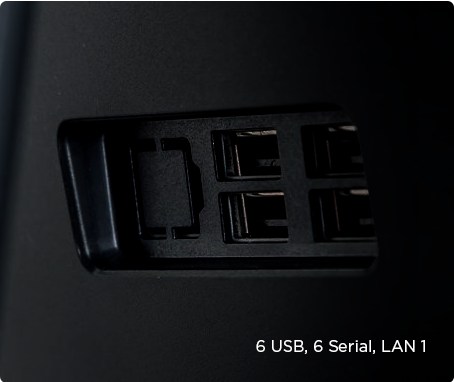 The I/O panel on the upper side of the terminal provides easy access, making field serviceability simple and faster.